instead there is residential street parking. Catching the Neutral Bay Ferry alight at Hayes Street Wharf Neutral Bay. 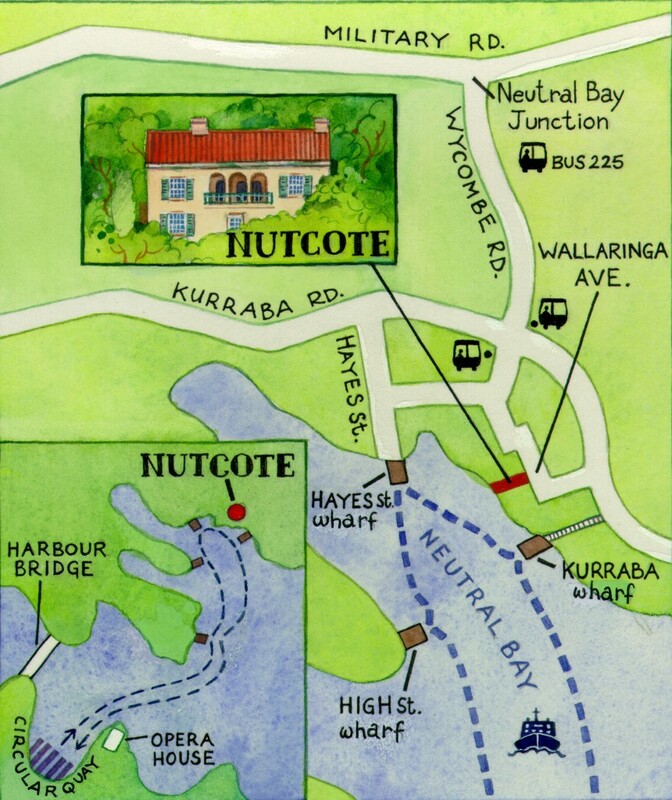 You can also alight at Kurraba Point Wharf, however, there are over 100 steps to climb from this wharf. The 225 Bus meets the ferry at Hayes Street Wharf. Alight at the second stop for Nutcote. You can also catch the 225 Bus from Military Rd, Neutral Bay. Walking from Hayes St Wharf - A short 5 minute walk up the hill. 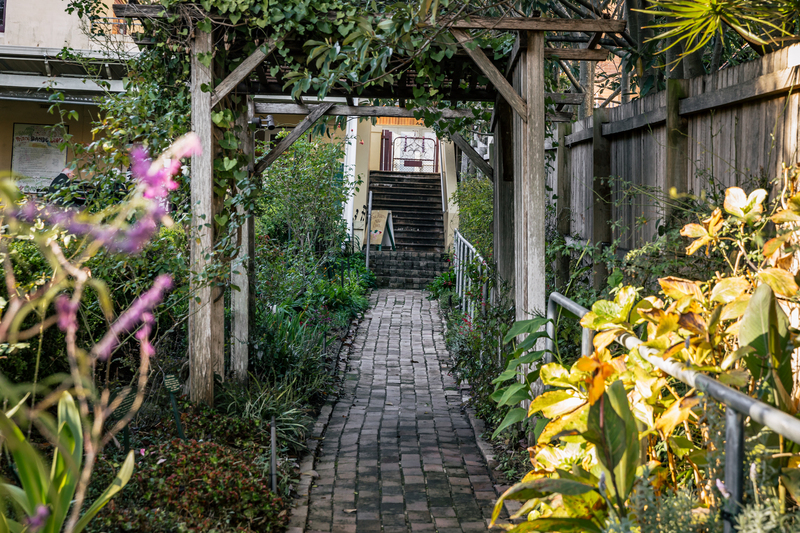 Walking from Nuetral Bay Junction or Milsons Point Train Station - Both walks have steep hills to negotiate and take just over 20 minutes. Nutcote is open Wednesday to Sunday 11am until 3pm. We are closed Monday, Tuesday and all Public Holidays. The Last entry to the Museum is at 2:30pm. Access via the Gift Shop located at 5 Wallaringa Avenue. There are a number of stairs to negotiate after entering through the Gift Shop, and the property slopes steeply down to the harbour. Nutcote house is not suitable for wheelchair users.